A catch-all category for books that don't predominantly fit in any of the regions above. Blurb: An unstoppable read which follows the author as he hitchhikes from Tasmania back home to London, a distance of over 17,000 kms through 19 countries. What might otherwise be just another themed “a to b” travelogue is set apart by its inclusion of some extremely thought provoking historical and geopolitical insights of the countries he passes through. And while his expressed views may not be to everybody’s liking, he writes in an easy going, engaging and oftentimes humourous fashion which makes this book both an enjoyable and informative read. 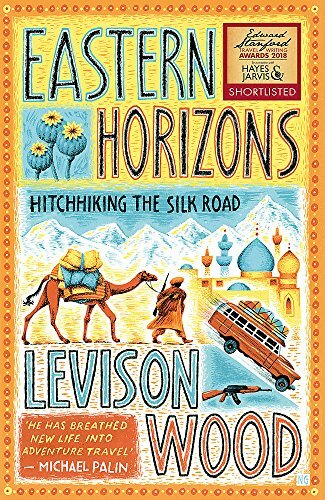 Blurb: Written prior to Wood's brilliant TV series and walking adventure trilogy (so far) series, Eastern Horizons charts one of his first forays into adventure travel as he looks to hitchhike from England to India as a 22-year-old. Dusting off his previously written manuscript on his 2004 journey, Eastern Horizons is easily as good as his more recent books and illustrates Wood's passion for travel and adventure in an infectious fashion. 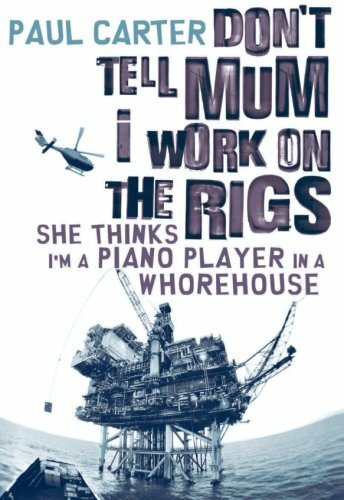 Blurb: Chock-a-block full of bar room fights, masturbating monkeys and the odd gruesome and lethal rigging story, Carter is definitely a guy who likes to live hard, party hard and write hard. Recounting some hilarious escapades during his time working on oil rigs in far flung places such as Brunei, The Philippines, Nigeria and Russia this is certainly one to avoid for the PC-brigade. But if you like your books raw and filled with hilarity, with a more puerile slant, than give this one a twirl. Blurb: Peter Moore’s first travelogue details his overland journey from London to Sydney as he follows in the hippy trail popularised during the 1960’s and 70’s. 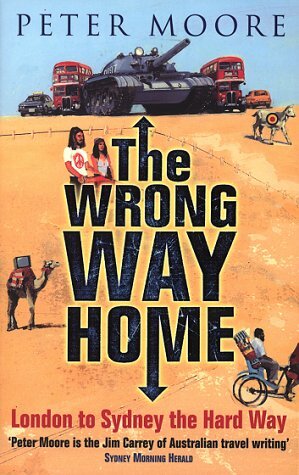 The author effortlessly weaves humour throughout the story which adds to this great journey and despite the trip occurring in 1994 still resonates well.Travelling through war torn areas such as the former Yugoslavia and a brief foray into Afghanistan, there’s a multitude of off-piste and irregular destinations that successfully separates this book from your standard run-off-the mill travelogue and makes this a right on read. 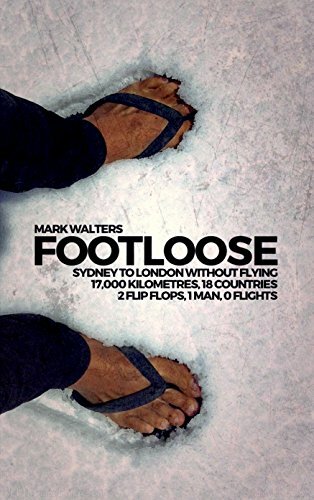 Blurb: Footloose is a comedic travelogue covering Walters' nine month overland journey from Sydney to London. The title refers to his penchant for jandals or flip-flops by virtue of not wanting to imprison his feet in closed shoes. This is a book that will definitely divide people. For some, the off-key and inappropriate humour will be too much while for others it will be guaranteed to provide a laugh a minute. There is probably more laughter material contained within the covers than any other travel book I’ve ever read, with (sometimes questionable) humourous efforts every other sentence. 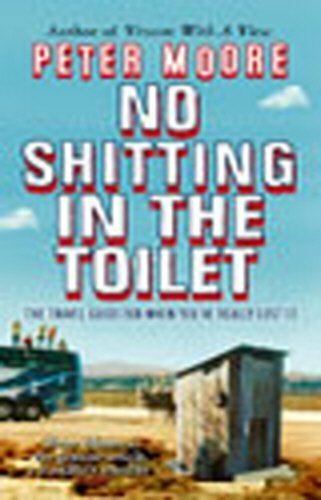 If you’re not put off by the first chapter then this will be one of the funnier and more politically incorrect books you’ll read in some time. Blurb: Essential reading for anyone with a remote interest in travel and in particular transforming your life into one with travel at its forefront. 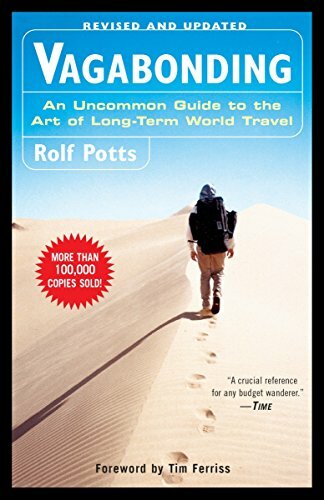 Potts' Vagabonding has rightly reached cult status and has a ton of philosophical observations which everyone can benefit from implementing into their own travel. Along with a raft of common sense practical tips on how best to approach long term travel, Vagabonding will be for most, an easy-to-read revelation and can easily replace most of the advice typically garnered from the raft of guidebooks on offer. 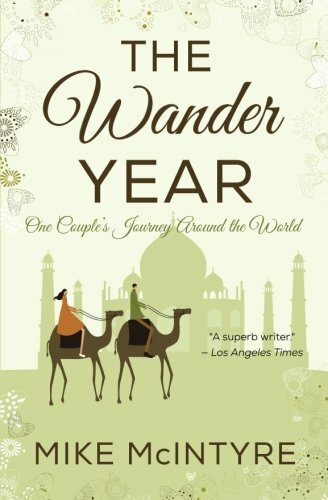 Blurb: A wonderful debut travelogue that regales with Bedford's outrageous tales from a year spent backpacking with her bestie around the world. 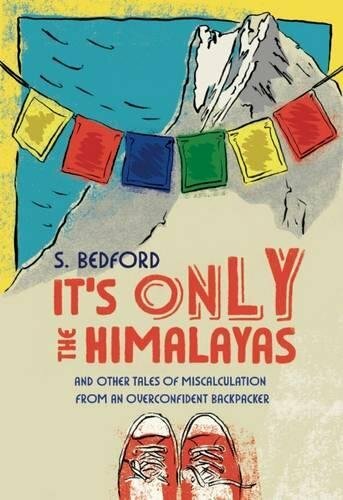 Packed full of hilarity, this is a book that will delight both older backpackers looking back nostalgically at misspent youths and those thinking about embarking on their own wild travels themselves. The books scales the heights of the best of backpacking books out there and is not found wanting. Whilst it is a quick and light read, there is so much fun packed into it, that the only disappointment is knowing that the end is rapidly approaching. Blurb: A collection of short dispatches, each about 3 pages long, which formed part of a regular travel series for the Los Angeles Times during 2000 detailing the author and his girlfriend’s year long trip around the globe. The stories are written chronologically as they visit 20 countries as varied as Scotland, Nepal, New Zealand, Morocco, Bolivia and Cambodia. There is little by way of detail of each country they visit and major sights such as the Taj Mahal regularly receive only one paragraph. The narrative instead focuses on general travelling observations that could apply to us all in any situation. I finished this in one setting, due to the engaging writing style and was disappointed when the book came to an end. Due to barely scraping the surface of each place visited, it did make me wonder, however, just how good this book could’ve been with a more in-depth approach. 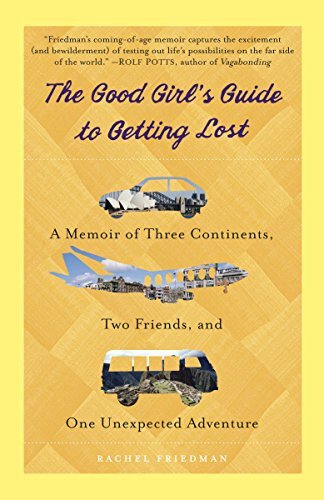 Blurb: The Good Girl’s Guide to Getting Lost: A Memoir of Three Continents, Two Friends, and One Unexpected Adventure is a heart-warming and funny story of self-evolution and mateship, as defined through travel. Friedman's journey takes us across Ireland and Australia before venturing to South America, at which point she is able to fully earn her backpacking stripes. Traipsing through Argentina, Bolivia, Peru and Chile she and Carly travel cheaply and painfully. There’s plenty of adventures and dark tales on the road and Friedman is able to share a lot of the wonder and fun that accompanies their travels. 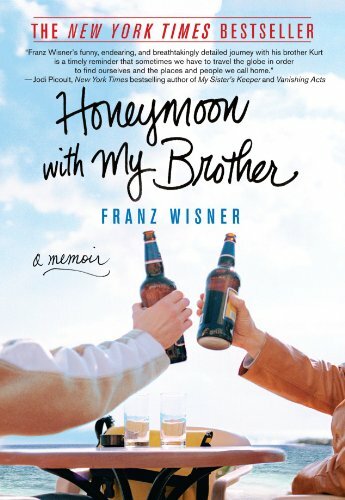 Blurb: Honeymoon with My Brother is a memoir of two brothers experiencing your run-of-the-mill, mid-life Republican backpacking crisis after the elder is jilted by his fiance a couple of days before his wedding. Deciding to plunge ahead with both a party for those already committed to arriving for the celebration and then onward to a honeymoon already paid for, sans the bride, what begins as a two-week break manifests itself to a two-year voyage of self discovery. is a well written and inspiring read for those of all ages who might be contemplating trading in their conventional lifestyle for one out of a backpack, with a few extra trimmings. Blurb: After hearing the name of Sao Tome and Principe on TV at the 2004 Summer Olympics, Thacker vows he'll travel to and then around the tiny African island nation without obtaining any prior knowledge of the country. Ridding himself of all guidebooks and eschewing the internet as much as possible, he decides to casually throw Togo, Benin (as a late replacement), Wallis and Kyrgyzstan into the mix of countries that he will also set out to discover as a modern day "true explorer". 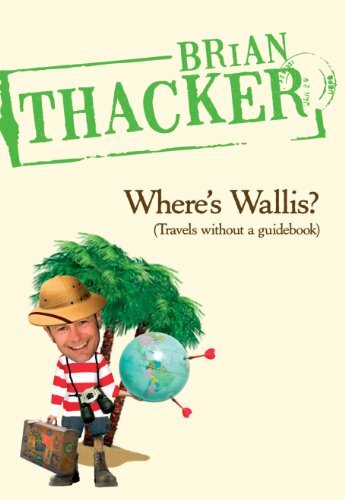 Where's Wallis (Travels without a guidebook) is an unpretentious and funny retelling of Thacker's experiences through this disparate group of countries. Each country runs to between 40 to 90 pages each, providing ample opportunity for Thacker to get himself lost and marooned, meet fascinating locals, ex-pats and royalty, get up close and personal with the wildlife and dodge the odd bit of civil unrest. 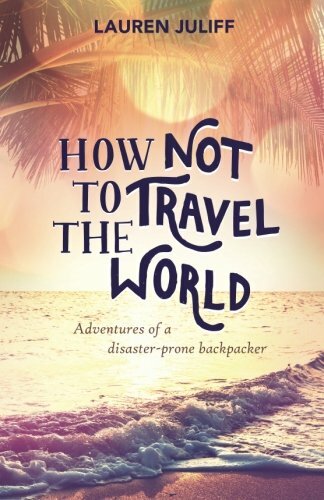 Blurb: How Not to Travel the World: Adventures of a Disaster-Prone Backpacker is a travel memoir written by well-known travel blogger Lauren Juliff of www.neverendingfootsteps.com. Suffering from an anxiety disorder, Juliff's memoir is an inspiring and uplifting account of the early years of her travel experiences around the world, since she first left the UK in 2011. Writing about her never-ending string of calamities that accompany her travels without any pretension and a good deal of humour, Juliff delivers an inspiring read for anyone wanting to lead a non-conventional life centred around travel. 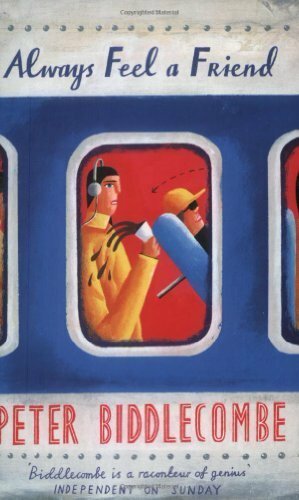 Blurb: A collection of insights into 19 countries scattered around the globe told with a unique brand of slapstick humour that is unlikely to appeal to all. Written like a travel author overdosing on Ritalin, we find ourselves one minute reading about the ethnic make-up and history of Macedonia, the next about American spy satellites over Kosovo before veering back again to the architecture of Macedonian churches and mosques. Always Feel a Friend covers a range of lesser known countries such as Kosovo, Cape Verde and the Cook Islands, which guarantees that you will learn something about a country you didn't know before. And despite the rapid fire and relentless delivery of Biddlecombe's humour, there are some genuine quality observations imparted. 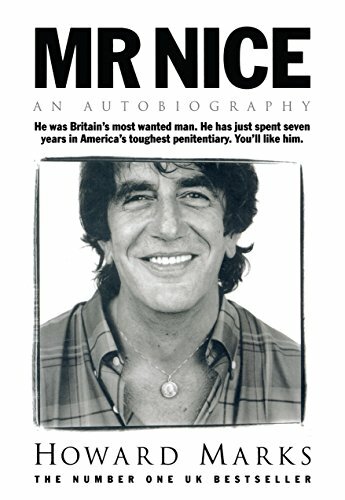 Blurb: Marks' autobiography details his life as a marijuana smuggler in the mid-80's portraying himself as an all-round "nice" guy whilst trying to convince us that weed (and hash) should be legalised. 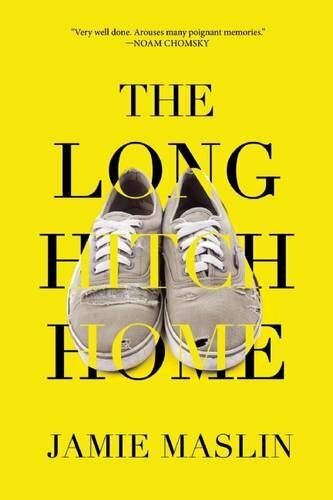 The book provides good insight into the lifestyle that accompanies a drug smuggler, glamourising the events that occurred, and also providing what, on the face of it, is a startlingly amount of detail on other individuals also involved in this trade. Blurb: This is a reasonable read of a simply amazing life. One can't help but marvel at the achievements of Fiennes, who stands out as an inspiration for all us to get off our backsides and go out and live our lives according to our own roles. His sheer determination is simply outstanding. 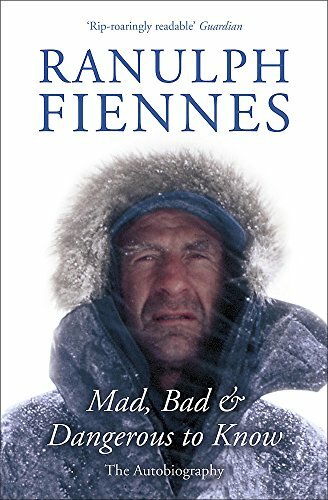 Whilst the writing doesn't quite meet the standards of his achievement, it is still sufficiently good to invest a good chunk of your time in escaping to the far flung corners that Fiennes "conquers". Blurb: A funny send up of travel guides which in addition to providing generalised (un)helpful sections on the usual things you’d see a travel guide such as transport, health, eating and accommodation also provides the author’s top 10 lists on a variety of more specialised topics such as top 10 shitholes, top 10 rip-offs and top 10 horrific bus rides. Like a guide book, this is something you can easily dip into at your own pleasure and has the added bonus that if you don’t like it can also be used in emergency situations while travelling in third world countries if you’re caught short and don’t fancy going local.